The 2012 annual Pilgrimage for Restoration is scheduled for Friday-Sunday, September 28-30. This will mark the seventeenth time that a merry band of Catholic pilgrims cuts a path from Lake George to Auriesville, New York, doing penance all the way. Rising very early in the morning, to assist at pre-dawn sung Latin Masses, pilgrims wend their way through verdant upstate New York singing hymns, praying the Rosary, and meditating together in their small “brigades,” each of which is named after a saint or Christian mystery. At night, everyone camps in tents or under the open sky. The pilgrimage is undertaken by young and old, families and singles, priests, religious, and laity, professionals, mothers, and students, all of whom are kept in good order and safety by the mercy of God and guiding hand of experienced pilgrimage administrators. Masses on the trail are offered in a makeshift chapel-tent, and are in the traditional, or “Extraordinary Form” of the Roman rite. While the daily Masses are “High,” the closing Liturgy on Sunday is a Solemn Mass, with deacon, subdeacon, and all the austere pageantry of Latin Christendom. Organizers emphasize that this is by no means a “traditionalist only” event. Everyone is welcome. In 2009, Adirondack Life magazine published a feature article on the pilgrimage, a testimony to the fact that this is indeed a public profession of Faith. How could it not be? Passing motorists see quite a spectacle: praying columns march, bedecked with colorful banners and procession crosses, as priests with surplices and violet stoles confess the faithful in via. Greg Lloyd, the Pilgrimage Director, informed me that the first pilgrimage in the fall of 1996 was inspired by the annual Chartres Pilgrimage in France. “The idea first sparked in a conversation with Arnaud de Lassus early in the 1990s, when we met in Vienna, Virginia,” Lloyd told me. The Shrine of the North American Martyrs, in Auriesville, New York, was an obvious choice. While Greg was courting Susan Tardiff, his bride-to-be introduced him to the shrine, and he bore a fascination for it ever since. Most of the North American Martyrs died on the Canadian side of the border, but three of them (St. Isaac Jogues, St. René Goupil, and St. Jean de la Lande) died about 370 years ago in what is now New York State. St. René was martyred in the Mohawk village of Ossernenon (now Auriesville), where his precious remains were lost. The going can be difficult, but Lloyd encourages the timid to take heart: “Our byword of many, many years is: don’t worry, nobody makes pilgrimage alone. God is with us, every step of the way. We come to believe that more surely because we see His Charity at work also among so many fellow pilgrims, who even though tired and ornery themselves, go the extra mile as it were, to ‘carry’ you when you feel you can’t go on anymore. And when everyone is too tired to carry you, there is always a van or two of angel-volunteers shadowing the column, just waiting to take you away.” There are also nurses, “the blister brigade,” who tend to the pilgrims’ aches and pains as needed. 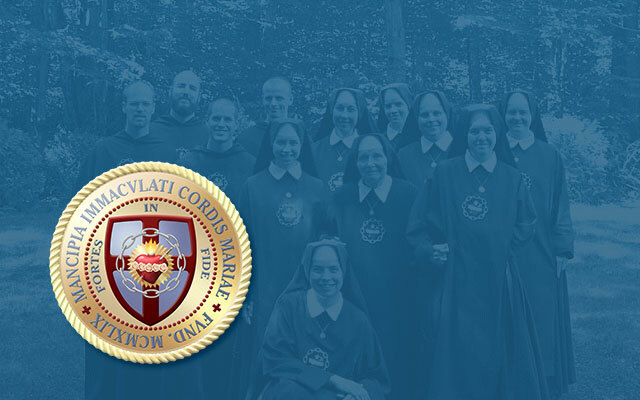 To find out more about the Pilgrimage for Restoration, interested persons may contact the National Coalition of Clergy and Laity, 621 Jordan Circle, Whitehall PA, 18052-7119; telephone: 610-435-2634; email: coalition@fast.net; web: http://pilgrimage.stblogs.com.